Summer in Colorado’s high country is the perfect time for a camping trip, and there is no better way to spend the night outdoors than on one of Vail Valley Anglers’ Overnight Float Trips. 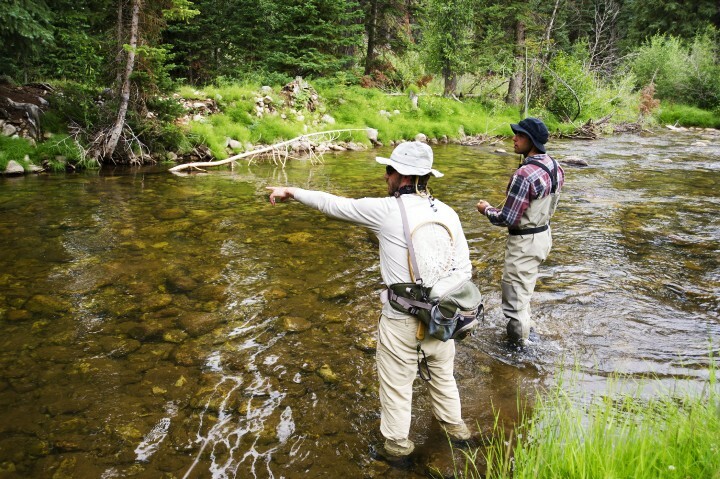 Vail Valley Anglers’ Overnight Float Trips are designed to offer beginner and expert anglers alike the chance to experience Colorado fly fishing at its finest. We do these trips on a remote stretch of the upper Colorado River where the only thing that surpasses the scenery is the fishing itself. Overnight Float Trips offer you and your loved ones the chance to experience some of the best fishing that the river has to offer, because they allow you to be on the river later in the evening on the first day and earlier in the morning on the second day. It is during these dusk and dawn hours when no one else is around that big fish often eat dry flies and streamers without hesitation. You do not have to be a die-hard fly fisherman to appreciate an epic late-evening dry fly fishing session. 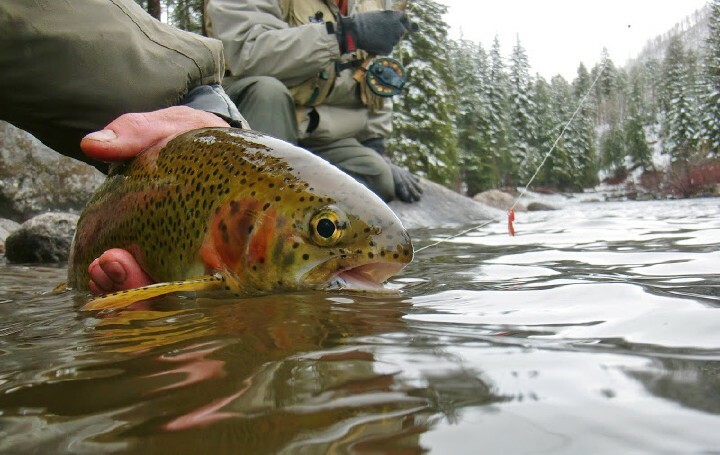 When you book an Overnight Float with Vail Valley Anglers, you can expect to be set up with some of the most luxurious and comfortable camping equipment available. You will not find yourself bedded down on the hard, rocky ground, tossing and turning all night long trying to get comfortable because we provide modern day sleeping cots with warm, clean sleeping bags and extra-large tents. Our Overnight Float Trips take place on a private ranch, meaning that there will not be any searching for a decent place to set up camp or unexpected campsite neighbors. You and your loved ones will enjoy a peaceful, starlit evening by the campfire soaking in the incredible scenery and solitude that only the Colorado River can offer. When your boat pulls up to the campsite, you will be greeted with cold drinks, appetizers, and a delicious meal crafted by one of the Vail Valley’s most experienced private chefs. You sign off on the menu before the trip, so there are absolutely no food-related surprises. We can accommodate all of your meal preferences and dietary restrictions so that the only thing you have to worry about is setting the hook on time. As with all of our guided fly fishing experiences, we do not provide alcohol on our Overnight Float Trips. 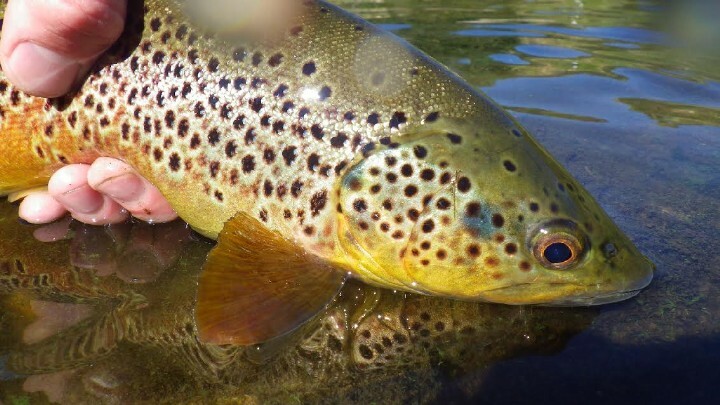 There is no better way for couples, close friends, families, and fishing buddies to enjoy western fly fishing than on a summertime camping trip with Vail Valley Anglers on the Colorado River. 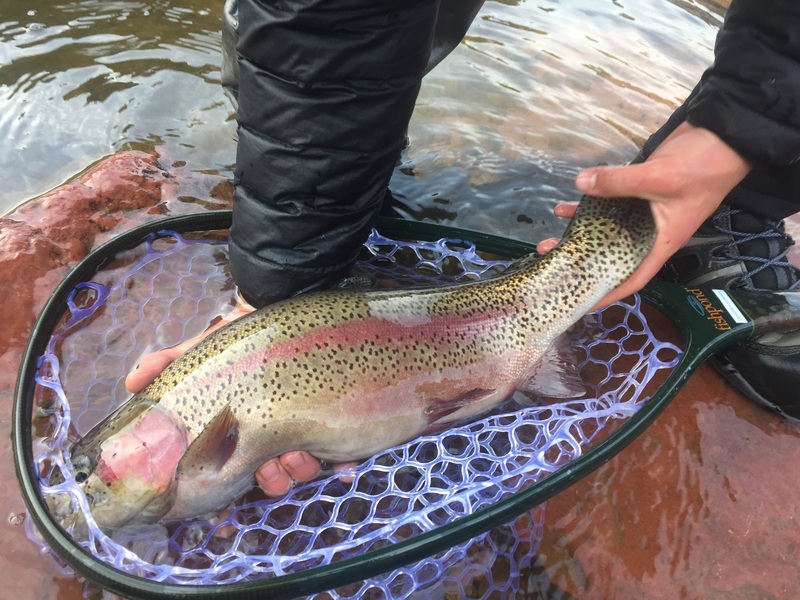 For more information about our Overnight Float Trips or to book one with your favorite professional float guide, feel free to email us at info@vailvalleyanglers.com or call the shop at (970) 926-0900. Now That Winter is Here, Where Did the Fish Go?